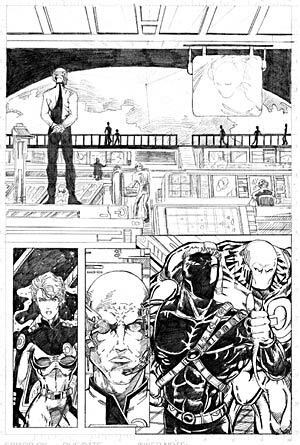 Old Stormwatch page from many years ago. From a Stormwatch/X-men set of pages I did. That's Wolverine on the viewscreen.